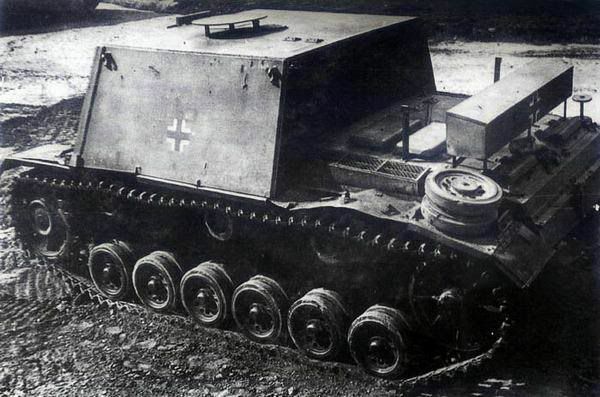 Fellow German tank geeks...anyone know of any pics for this vehicle? I can't find any in my reference books, and I have quite a few. 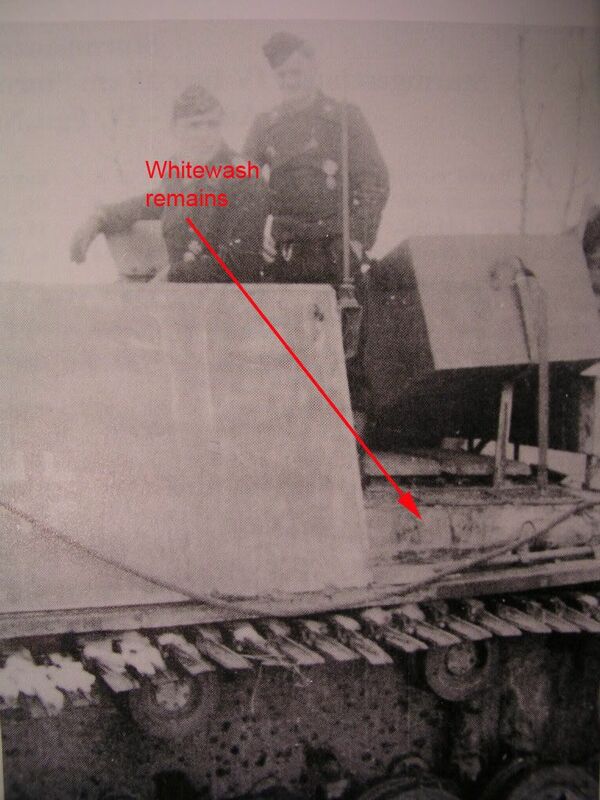 I found one photo on Achtung Panzer but it's not a closeup so is hard to make out the details. You can find photos of the Sig 33B in Spielberger Sturmgeschutz and Variants, PanzerTracts 10 Artillerie Selbstfahrlafetten 15cm Sig 33 Auf PzKpfw I to Ohne Karl Geraet and Tank Power XXIV no 247 - 15cm siG 33 (Sf) auf PzKpfw I/II/III. 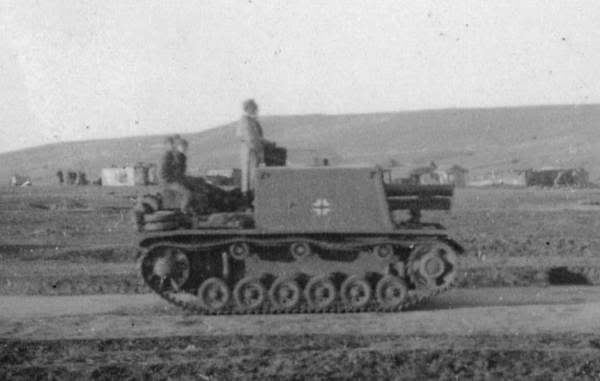 The first 12 SIG 33's were produced using a Stug III Ausf E chassis. 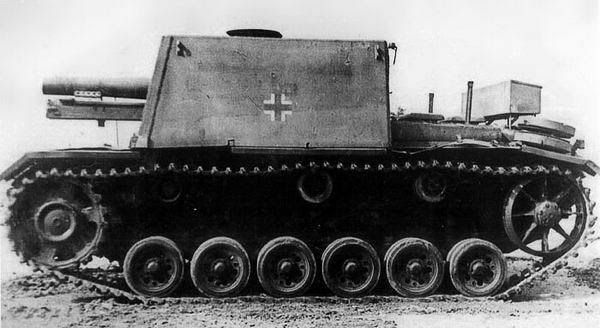 Subsequent 12 used the Stug III Ausf F/8 chassis. 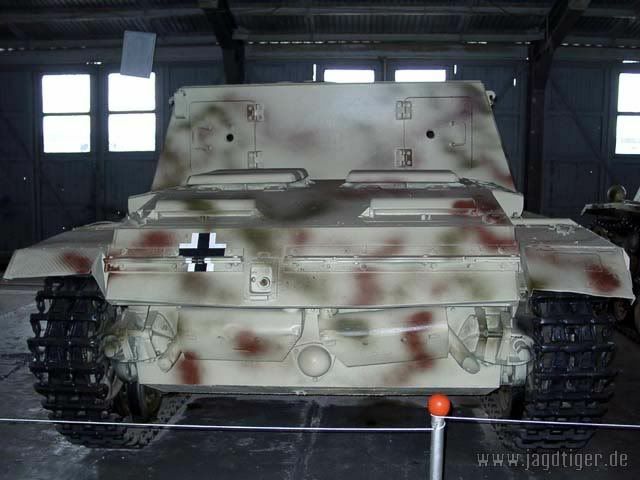 The first 12 were sent to Stalingrad belonging to Stug Abt 177 as part of the 6th Army and were painted in Dark Grey. They had balkenkreuz on the superstructure sides but no vehicle numbers. All twelve were lost in action by Nov 1943. At that time Stug Abt 177 was led by Capt Bochum. The first time they were used in combat (correct me if I am wrong) was at Spartakowka led by First Lt Mai on 8 Nov 1942. I have a number of photos of the Sig 33B and there is one with an early idler (like what you see on a Stug III ausf A). Panzer Tracts have a photo of a Sig 33B in dark grey with winter camo and winterketten. I have the Part PE set as well and you are correct that it only has the rear stowage box. You will need to check your references on whether you need the front box. There are some measurements in Ospreys modelling guide to scratchbuild one. I will check and post it when I get home. That is some good info...I don't have any Panzertracks books and was looking for the 'cheap' solution for this one. I already installed the suspension arms and will use only the kit wheels,etc. 1 How would you lower the gun, by lowering the gun platform? 2 Was the upper casemate welded together or bolted? 3 Do you have any photos of the rear end bolt detail you could post? I found one photo on Achtung Panzer but it's not a closeup so is hard to make out the details. There are number of photos of the sIG 33B and they are on pages 105 to 111. 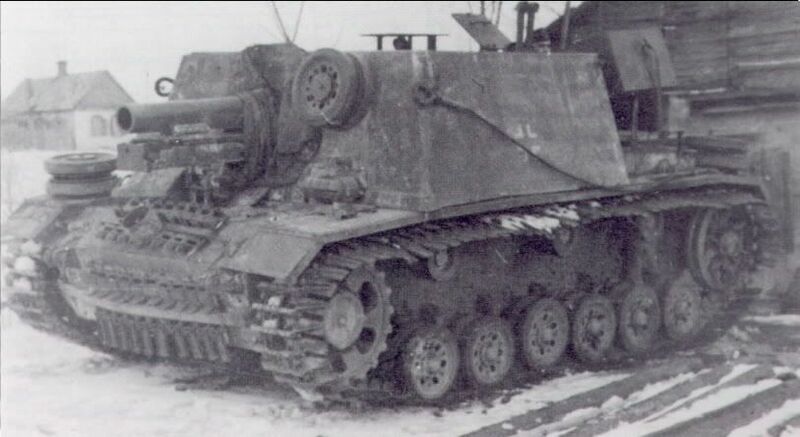 Photo is from www.jagdtiger.de There are 3 other photos of the Kubinka vehicle there as well. Wow Lawrence, nice pics...thanks for posting them. I don't see any hinge detail on the rear toolbox but the Part set includes them? Did you notice this? Lawrence you said "The first 12 were sent to Stalingrad belonging to Stug Abt 177 as part of the 6th Army and were painted in Dark Grey. They had balkenkreuz on the superstructure sides but no vehicle numbers. All twelve were lost in action by Nov 1943." Is the year 1943 a typo or did some escape the Stalingrad battle and fight on some wheres else? I am thinking a typo but want to be sure. Some great info on this post. This is one of those vehicles that is cool to look at but wouldn't want to be in the building it was aiming at. "There are number of photos of the sIG 33B and they are on pages 105 to 111." I was following this discussion as I have build the SIG33 with the "wintercamo". Now after being ready I'm completely convinced that there was no wintercamo on. I have read the weather reports of Stalingrad from the OKH and when once it got cold and the temperature fell there was no thawing anymore that would give the wintercamo this typical washed off appearance. Since all of the 12 SIGs were lost in Stalingrad (first batch) it was full of dirt and dust that "frostdried" to the outside. Of course that would make the painting especially intersting dry and wet mud covered with snow and ice. ...or you go for the second dozen that did not make it into Stalingrad and was then painted yellow with patches or stripes I seem to recall. They survived quite some time in 1943. Its not enough to think - you must do! Sorry for the typo. All first 12 vehicles were lost at Stalingrad. The Russians captured one and is now on display at Kubinka. I see where you are coming from. However, if you look at a close-up of the same Sig 33B (the first one with winterketten), you can see some remaining traces of whitewash on the sides of the air intakes.